At VMware, we feel that customer care and support programs are some of the most critical services we offer our customers to ensure they are getting the most from our solutions and implementations. Equipping you and your teams with the skills needed to leverage VMware products to the fullest in order to solve your most challenging business issues and derive significant IT outcomes is our number one goal. To better support you in this effort, VMware is building our Education Services practice and offerings portfolio to provide customers with a multitude of online and in-person offerings to support your evolving needs as cloud and virtualization technologies become more complex. experience such as giving you more ways to purchase training and sign up for certification exams when you register for VMworld. Find everything you need to know in this issue. VMware certifications help your business, but they also help you improve your skills and earning power. Be sure to read the results of the Global Knowledge 2015 IT Skills and Salary Survey, along with their list of the “15 Top-Paying Certifications for 2015.” We are proud to say that VMware Certified Professional – Data Center Virtualization (VCP-DCV) is included on the list. Technology continues to change at an astounding rate, elevating the need for – and value of – VMware training and certification programs. We invite you to work with your Education Services sales representative to develop a training plan that helps you achieve the satisfaction and success you deserve from your VMware solutions. VMware is building our Education Services practice and offerings portfolio to provide customers with a multitude of online and in-person offerings to support your evolving needs as cloud and virtualization technologies become more complex. VMworld is the number one cloud and virtualization technology conference. VMworld US returns to San Francisco August 30–September 3, bringing together thought leaders, subject matter experts and IT professionals. Take advantage of this opportunity to hone your skills on the latest VMware solutions, update or recertify your VCP certification, and discover new technologies – and save up to 50 percent. Make the most of your VMworld 2015 US experience with these special training and certification offers. You can add any of these offers to your VMworld 2015 US registration or combine offers to maximize your savings. Option 1 — Bundle your exam with your VMworld registration. Simply select the Certification Exam Voucher on Step 4 of your VMworld registration. You’ll receive instructions via email on how to register for your exam date and time. Option 2 — Register for your exam on the Pearson VUE VMworld 2015 US site. Be sure to visit the Education and Certification Lounge at VMworld. There will be exclusive technical sessions, free gifts for VMware certification holders and much more. Read our blog and follow us on Twitter. More than 60 percent of IT Decision Makers (ITDMs) surveyed affirmed that their organizations provide training to their technical employees. More than half allocate at least $3,000 or more per employee, per year, for skills and certification-focused training. ITDMs who believe their companies were not investing enough in training came from organizations less likely to provide paid training. The U.S. Bureau of Labor Statistics has projected that overall IT employment will grow between 1.1 and 2.7 percent annually through 2020. Growth for cloud positions is expected to be far greater. In 2011, an IDC Forecast projected an annual growth rate for cloud-ready IT professionals to be 26 percent through 2015 – with continued growth expected beyond that. Approximately two-thirds of ITDMs surveyed estimated their organizations to be well into their cloud journey. However, at least one-third of these organizations are still at the beginning stages. And while there have been industry concerns that existing IT job roles would be affected as companies transition to the cloud, this does not seem to be the case. Fewer than 10 percent reported staff reductions because of the cloud. Conversely, more than 25 percent reported hiring additional staff, or staff with differing skill sets. Global Knowledge ranked VMware Certified Professional - Data Center Virtualization (VCP-DCV) as one of its 15 Top-Paying Certifications for 2015. AirWatch by VMware is the leading enterprise mobility management provider. With more than a decade in business, AirWatch continues to develop solutions that empower companies to focus on innovative uses of mobile technology rather than dealing with the complexities of managing mobility. The AirWatch platform includes industry-leading management solutions for mobile devices, email, applications, content and browsers. With AirWatch, organizations can easily deploy, configure, secure, manage and support smartphones, tablets, laptops and other devices across multiple mobile platforms and operating systems. VMware AirWatch: Cloud Deployment – Designed to give students the knowledge necessary to understand, advise on, and solve many of the challenges faced during the deployment of Enterprise Mobility Management. This 2-day course provides the skills needed to configure and provision AirWatch cloud deployments. VMware AirWatch: On-Premise Deployment – Confirms your expertise, in both theory and practice, for the AirWatch solution and its supporting components. This 1-day course teaches the skills required to install, configure, and upgrade an on-premise AirWatch server. Learn more about AirWatch Training from VMware Education, including prerequisites and certification options. 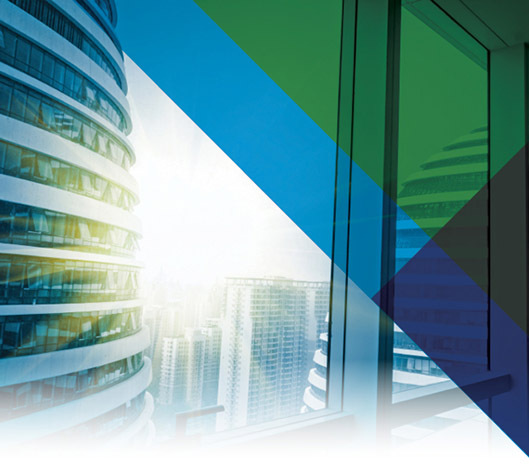 The demand for VMware NSX™ is growing. 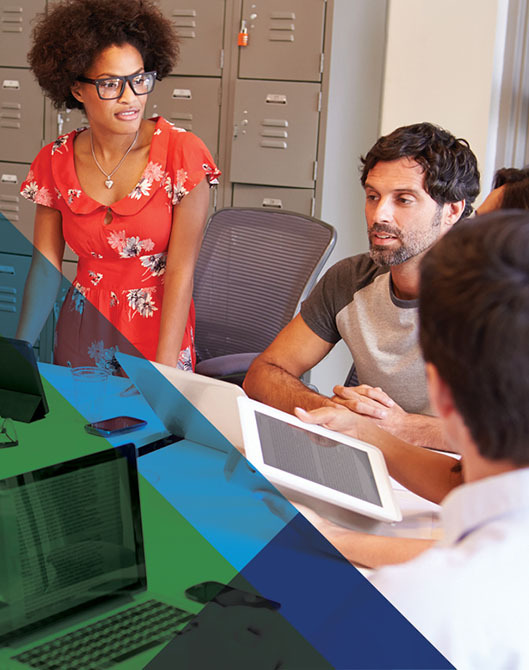 And while customers realize its potential, they are often unclear on the tangible business benefits made possible with VMware NSX. We sat down with Hatem Naguib, VMware Vice President, Network and Security, and asked him to share his insight on VMware NSX and the advantages it offers VMware customers. At a basic level, what is VMware NSX and why should VMware customers consider it? VMware NSX is a network virtualization platform. It is software that provides customers with the ability to deliver a set of virtual services for their workloads, very similar to what VMware vSphere© did for compute virtualization. This includes switching, routing, load balancing and firewalling as logical services for workloads to access for deployments customers perform in or outside of their data centers. What are the primary use cases you are seeing from VMware customers who have implemented VMware NSX? We are seeing three key use cases with our customers who have implemented VMware NSX: automation, security and application continuity. or even their own portal to automate provisioning of these IT services. The second key use case is security, and there are two dominant scenarios. The first has to do with firewalling. VMware NSX provides the ability to do firewalling beyond what you traditionally see on a traditional physical north/south perimeter firewall, or as a virtualized form factor of a hardware firewall. VMware NSX has developed a kernel module that operates as a firewall. Every packet leaving every Virtual Network Interface Card (VNIC) can get a security policy with it. For the first time, customers can efficiently put security policies inside their data center to manage the 80 percent of traffic that flows east/west between VMs. This allows security professionals to implement micro-segmentation in their environment. This is important because the vast majority of data breaches come from within the data center. firewall sitting on the perimeter. You actually have a dynamic secure infrastructure within your data center and true policy-based automation. The second scenario for security is with virtual desktop infrastructure (VDI). A lot of customers who deploy virtual desktops have a gateway appliance to control which devices get into the data center. But once that device is in, the virtual desktop has access to all internal data center applications. VMware NSX allows you to assign very prescriptive policy-based security to virtual desktop infrastructure, leveraging the same benefits of micro-segmentation. These policies live and die with the virtual desktop, based on it being part of the environment or being removed. The third use case we’re seeing is application continuity. 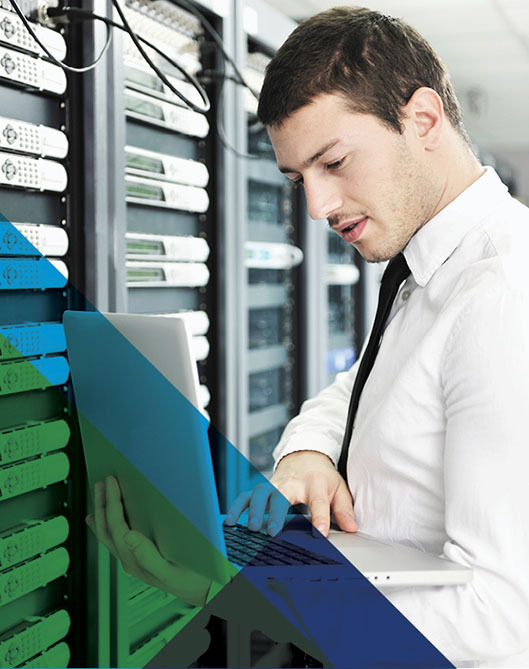 Many customers leverage VMware NSX for disaster recovery (DR) or multi-site type capabilities. These software-based services within VMware NSX make this very compelling for our customers. First, much of the challenge of disaster recovery isn’t moving the virtual machine, but making certain the network and security policies are synchronized between your primary and DR sites. Leveraging VMware NSX with a tool like VMware Site Recovery Manager, or similar third-party tools, allows you to dynamically synchronize your network security and policies in your primary and DR sites. This reduces the time required to recover from a disaster by up to 70 percent. 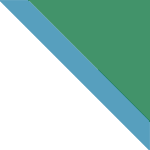 VMware Education Services offer a variety of VMware NSX training and certification programs. What role do these play in helping customers successfully adopt VMware NSX? When we first launched VMware NSX, we recognized several things. For many of our customers this was a dramatic change, a part of a transformation in their data center over and above what they had historically used for managing hardware. It wasn’t enough to show what the product does, but we needed to articulate effectively the depth of what was required for customers to think of the Software-Defined Data Center (SDDC) model and how VMware NSX brings that to life. 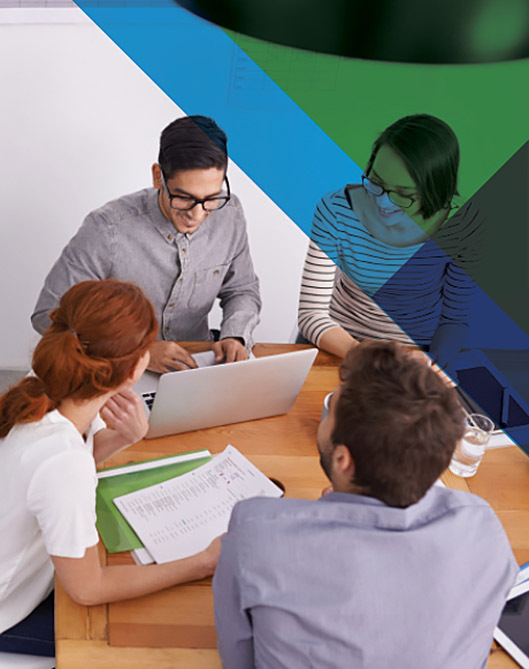 Classroom and self-paced training is available to help customers understand the use cases and how they can be leveraged for VMware NSX to deliver SDDC capabilities around IT automation, security and multi-site capabilities. We understood the importance of educating our customers, and helping them realize this new world provides a career path. We launched VMware NSX certification, including the highest level of certification for network virtualization—VMware Certification Design Expert – Network Virtualization (VCDX-NV). If you could offer one piece of advice to a networking expert looking to build their career, what would you tell them? I would advise them to seriously consider pursuing network virtualization certifications and making VCDX-NV their goal. When I attended VMworld a couple of years ago, I spoke with a young network professional just starting their career. They were considering another certification program, but told me they realized the future of the data center is with software and this is where customers are going. They wanted to take a more VMware-centric and software-centric approach. This person recognized the future is definitely moving toward software. They wanted to be part of this future. And you don’t have to just take my word for it. Check out what many of our VCDX-NV certified professionals have to say about it. Hear more about one of VMware NSX's top security benefits, micro-segmentation! More than 4,000 people have been trained and certified on VMware NSX – and the demand is growing. You can be one of them. Synergent Taps VMware NSX for Micro-Segmentation and IT Automation in the Software-Defined Data Center. Hear this and other customer stories here. Are you taking advantage of VMware Hands-on Labs? VMUG—VMware User Group—is an independent, global and customer-led organization created to maximize members' use of VMware and partner solutions through knowledge sharing, training, collaboration and events. VMUG has over 100,000 members and is the largest organization for virtualization users. Membership is free and easy. Join here. Get started building your home lab! Join now and receive 10 percent off your subscription. Use code ADVVMW at checkout. Offer expires July 31, 2015. VMworld is coming soon and VMUG gives you access to the content, innovation and experiences VMworld offers. How do VMUG members take advantage? By joining VMUG Advantage. VMUG Advantage is your ticket to VMworld savings – even if you can’t attend. Registrants receive a $100 stackable discount on their VMworld registration, and VMUG Advantage subscribers have FREE access to VMworld 2015 online content! See additional VMUG Advantage subscriber benefits here. VMUG UserCons are complimentary, full-day events that bring together a community where users can learn from VMware employees, a broad base of VMware partners and each other! VMUG UserCon is your direct connection to the VMUG support system that helps you improve your skills and advance your career. Register now for a free UserCon in your area. 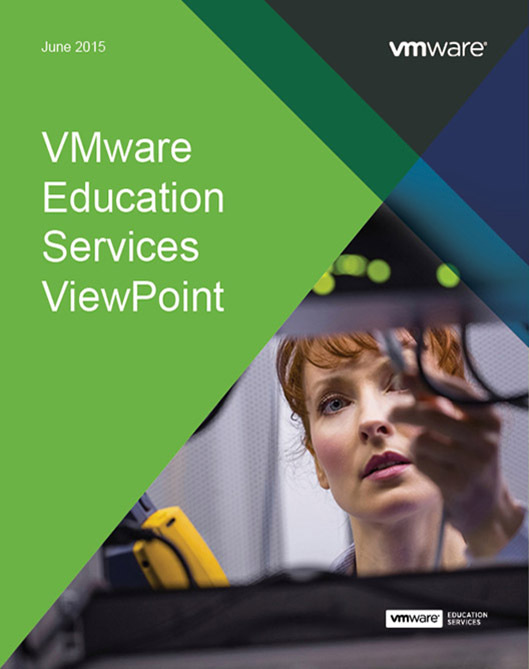 The ViewPoint Webinar Series connects you with VMware experts and is a great addition to your VMware training. Listen to replays of past webinars on the ViewPoint webinar series webpage. Checkout some of our Education Services offerings. For complete information, visit www.vmware.com/education. DevOps requires new ways of working, and that can create cultural upheaval. Here are three key tips for addressing the people and process issues of DevOps in a VMware environment. A well-thought-out organizational structure can accelerate the implementation of cloud strategies and ensure that the levels of buy-in and support required are met – which can spell the difference between success and failure. This white paper looks at the organizational impacts of transformation from multiple perspectives, and provides insights and advice about how to prepare for—and execute—a winning transformation strategy. View eligible courses and register now! of respondents said achieving their certification has had a positive impact on their professional image/reputation. of respondents said they were able to perform their job better and more efficiently after obtaining their certification. of those who achieved certification recognized immediate benefits; 16 percent recognized benefits within one month. Copyright © 2014 Pearson. All rights reserved. Reproduced with permission. Stay informed! Sign up and be one of the first to know when new courses and certifications are available.